Subscribe to Farpoint's Youtube channel! 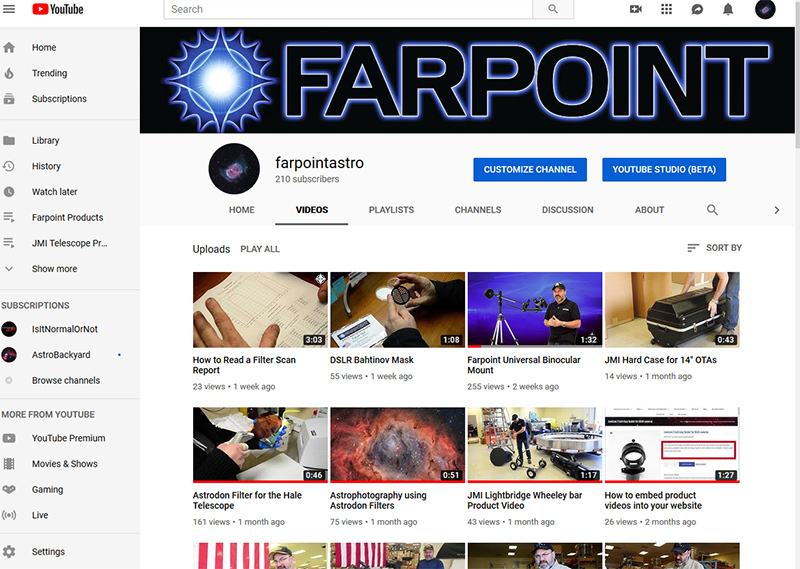 If you're curious about new products manufactured by Farpoint, JMI, Astrodon and Lumicon, you need to subscribe to our channel. We also have many 'How to..." videos to help you with your questions. We are constantly adding to our channel so there's always new content. If you have any suggestions for videos you'd like to see, please let us know by commenting below!